Patek Philippe commonly uses a slogan today that says "You never really own a Patek Philippe, you simply take care of it for the next generation." 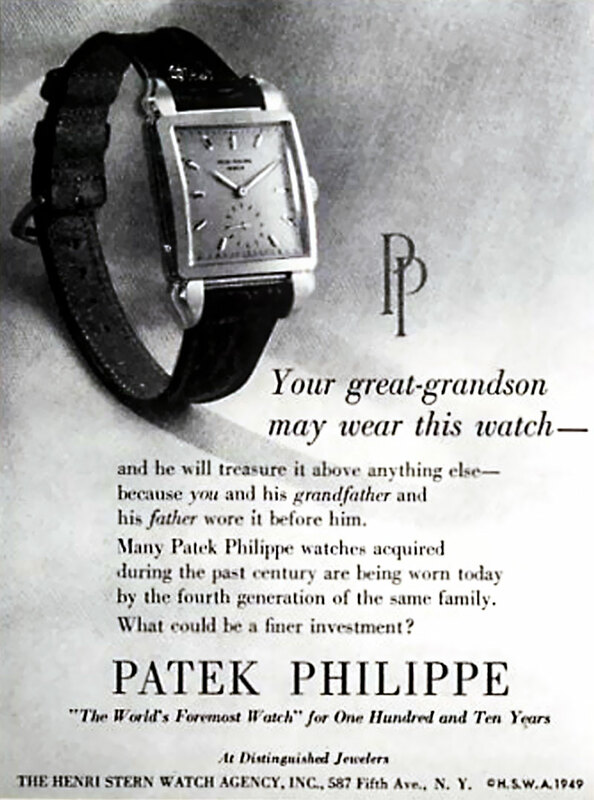 This 1949 Patek Philippe ad is fascinating because it has the same message. Update: Afredo, from Italy, is a reader of Jake's Patek Philippe World, and after seeing the 1949 Patek Philippe ad (above), sent in a photo of his Platinum Patek Philippe [Reference 2424] with a very unique dial from Casa Welsch, which is located in Lima, Peru. 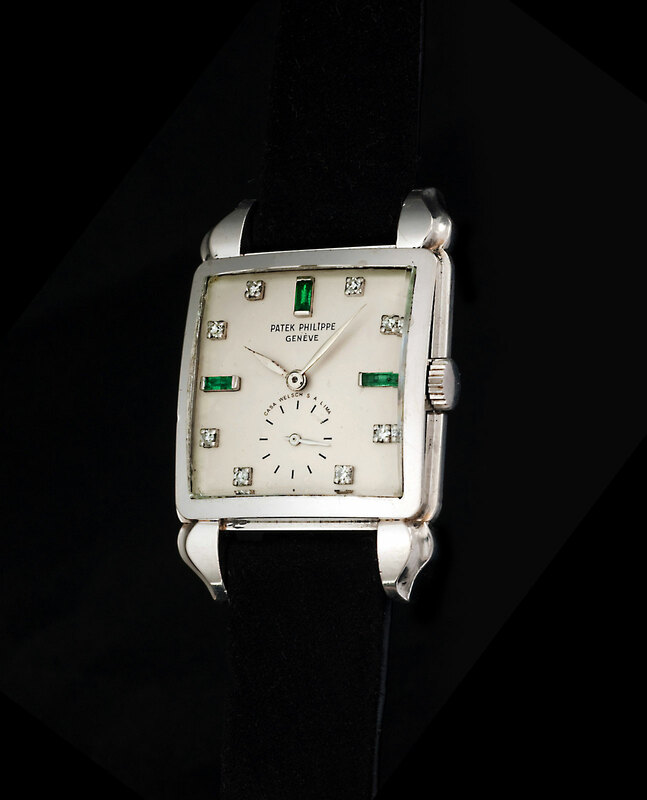 This unique dial is very unusual and unique as it also has emeralds and diamond markers. Thanks for sharing this stunning example Alfredo!! !